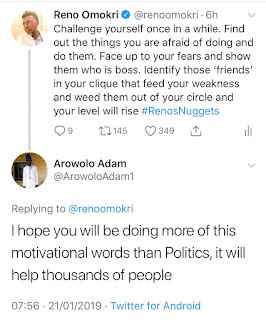 Reno Omo"Challenge yourself once in a while. Find out the things you are afraid of doing and do them. Face up to your fears and show them who is boss. 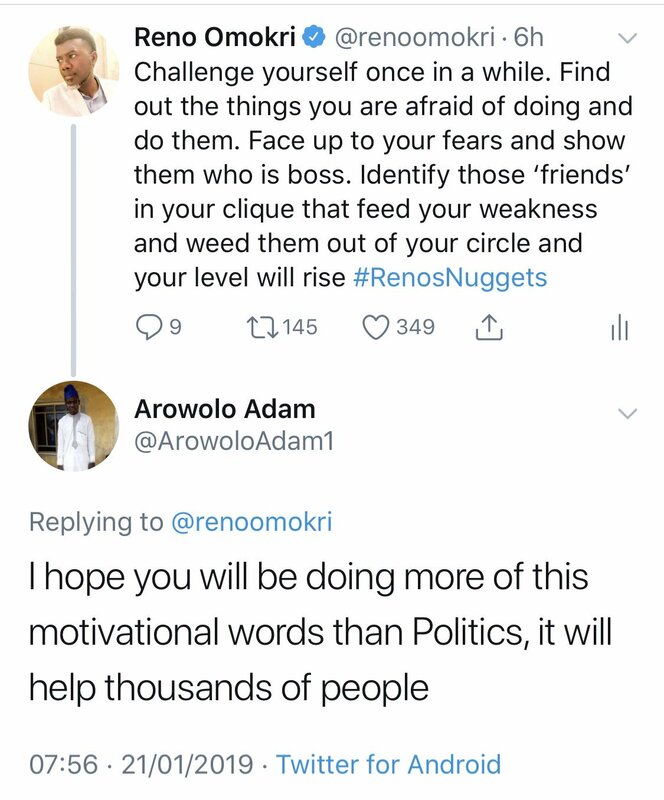 Identify those 'friends' in your clique that feed you weakness and weed them out of your circle and your level will rise"
Follower's reply: I hope you will be doing more of this motivational words than politics, it will help thousands of people". "Dear @ArowoloAdam1, God DID NOT put me on earth to live up to your expectations, neither did He put you on earth to live up to mine. Secondly, if we don’t get our politics right, no amount of motivation will put us right. Motivation in a burning house still leads to your death".